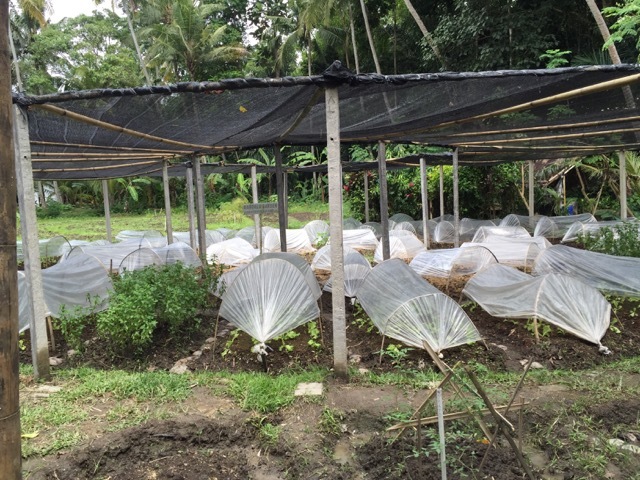 May we share with you the impact of the last two storms in an extremely heavy rainy season which led us to close Jiwa Damai center for at least until the end of January? This is also part of having a wonderful garden, to see the changes brought by a dramatically changing weather and their effect on the soil, trees and buildings. We have built over the past 10 years our fertile soil on an underlying clay layer. The rains flooded most of our topsoil away and we have begun again from scratch so to speak. 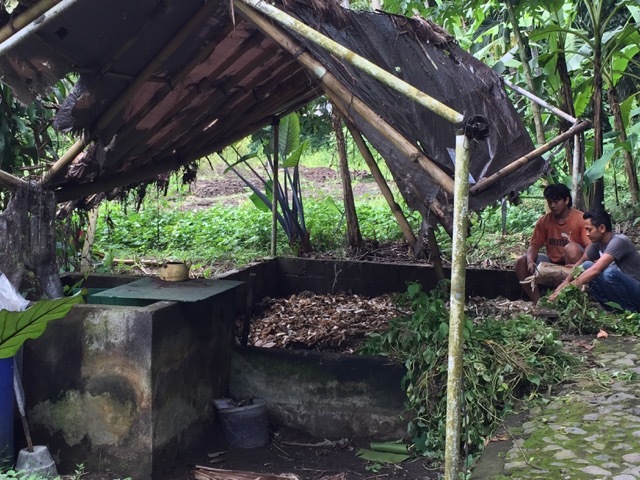 Nata and Komang are cutting the broken bananas for compost in our quite funny looking compost area after the storm. Many hands are helping and we are seeding in our nursery. 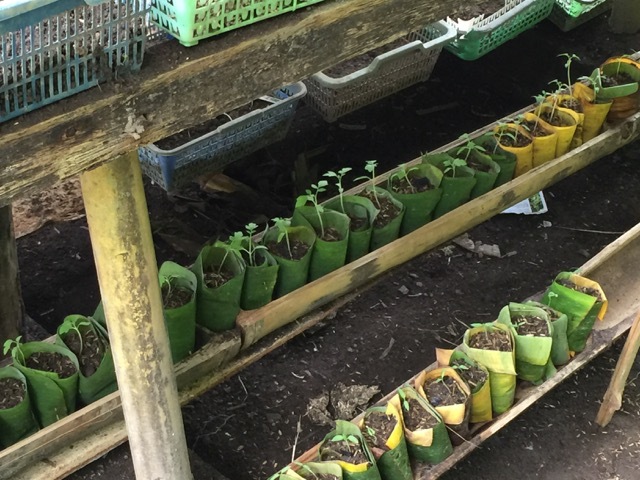 After sprouting they are placed individually into the containers made from banana leaves to be later transplanted into the garden. Our beautiful Mandala garden has changed its face. It is coming along again, with a net spanned overhead in Mandala design, to protect from too strong rains and too strong sun, as well as with plastic tents until the smaller plants are able to take the strong rain.